For our kid, starting at age-three the Balance Bike method worked well; it was easy, fun, and compelled almost no frustrated or frightened tears. By “worked well” I mean: Not only did she hardly ever cry, she never had training wheels, not even for a day. And, as a four-year-old, after spending about a year pushing her Balance Bike around, she took to riding a bike with pedals almost immediately. 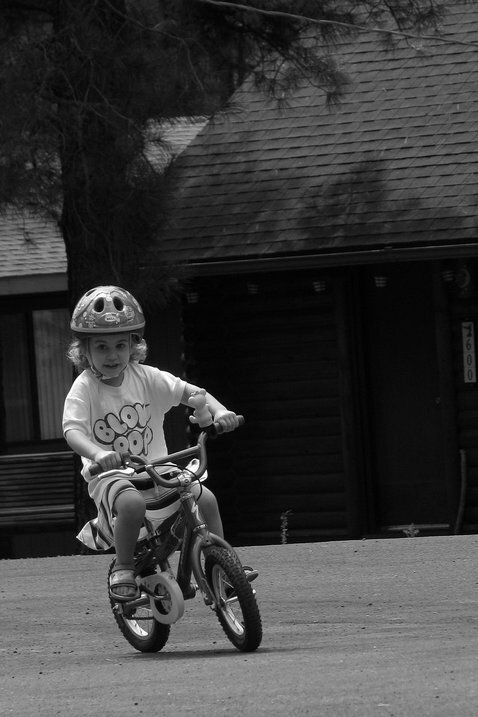 Today, as a five-year-old, she knows how to ride a real bike and, better yet, how to ride it safely and well. To make help her transition back onto singletrack in the woods I installed a rear handbrake, and we’ve been working on coupling it with the coaster brake action… but this learning curve has proven to be steeper and longer than any we’ve yet encountered. She still prefers to put her feet down to stop, something that’s just a lot more challenging, and probably more dangerous, when you’re pedaling than it was on the Balance Bike. Despite my ongoing concerns about helping her learn to brake effectively, I’m completely sold on Balance Bikes. I know they aren’t the only way to teach a kid to ride. And maybe they shouldn’t be. The old training-wheels-and-crashing method has worked from millions, and it continues to work for new riders year after year. 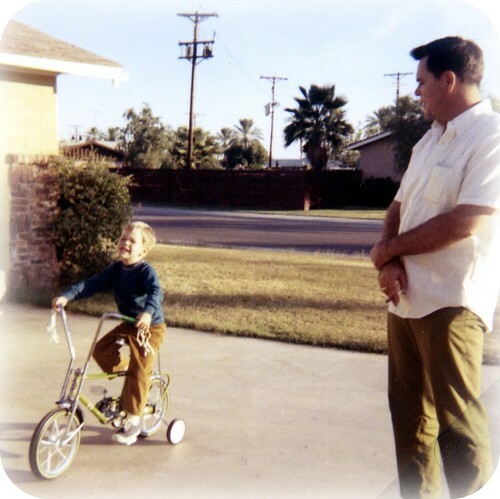 But, for folks like us, looking for a kinder, gentler, more compelling and perhaps even a more valid means of cycling instruction, I thought Balance Biking provided the perfect solution. For us, and most especially for our daughter it was, without question, a success! She’s a natural, just like her dad! We didn’t know about the balance bike, but we did take our daughter to an indoor football stadium, where the turf is padded and forgiving. She fell a few times, but no tears or blood…5 min. and she was good to go for life. So, if you don’t have access to an indoor football stadium, I’d recommend the balance bike. I think the easiest and least painful way for anyone to learn to ride is to find a gentle grassy slope and go down it sans pedals. Over and over again, until you have mastered steering and balance. Preferably braking with handbrakes! Then add the pedals. Kids today have cooler looking bikes, no doubt about it.